How do I set email to include a button to add the meeting to the recipients' calendars? I send emails out to approx 150 members of our Board for meetings and events. They would like me to include a button on the emails for them to automatically add the event to their calendars. I use google calendar and gmail. They use gmail, outlook, and a few others. What can I do? Create the event from your Gmail calendar. Click on the date you want to schedule the meeting. Click edit event. Fill in the event details. On the right hand side, you see add guests. Add their e-mail there. Once you have added all guests, click save on the top right. You will get a message saying "would you like to send invitation to guests. Click send. They will get an E-mail and be able to click yes they are going and accept it from their Google E-mail or Accept from their Outlook Etc. I have tested it within the last week. It does work with Outlook. Check the things below. I got the information from Google. Forwarding meeting invitations: If you create a meeting in Google Calendar and uncheck the "Guests can invite others" option, and if an attendee in Outlook then forwards the meeting, the recipient gets the forwarded invitation and can click Accept to accept it. However, this does not add the event to the recipient's calendar (since guests are disallowed from inviting others). 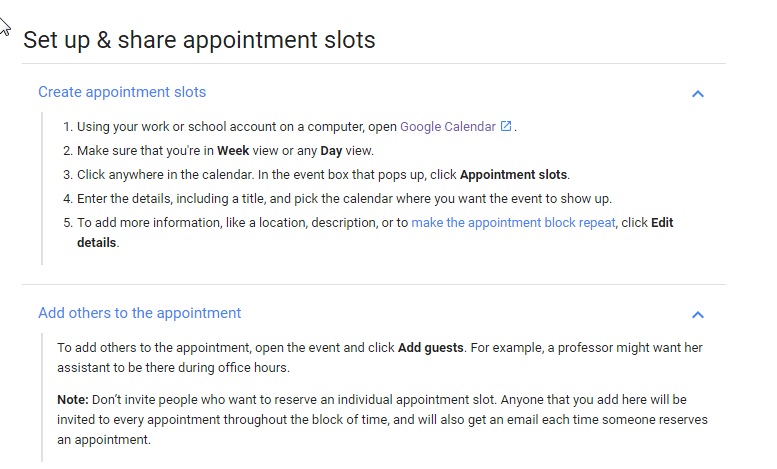 Requesting invitation responses: If you enable Notifications for your calendar in your Google Calendar settings, then create a meeting in Outlook and choose not to receive responses from attendees (you don't select the Request Response option), you will still receive responses. Accepting new meeting time proposals from Outlook users: If you create an event and an invitee proposes a new meeting time from Outlook, you'll receive the proposal in email as usual. However, you can't accept the proposal from the Gmail interface by clicking Accept in the email. You can only accept it that way from Outlook 2007. Scheduling a monthly recurring event on the 31st of the month: Outlook users will see events on the last day of every month (even those with only 30 days). Google Calendar users will see events only in months with 31 days. Here is a screenshot from a user who uses Outlook from a different company. I got this notification in Gmail. It added my Google appointment to her calendar.